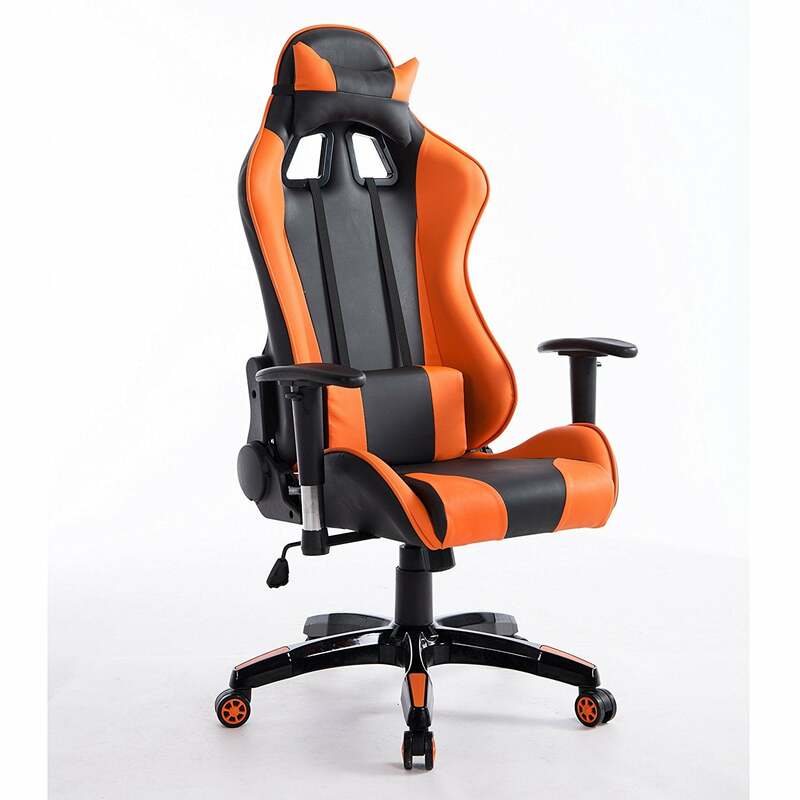 This is a stunning gaming chair adopting racing car seat style to provide maximum comfort during gaming/working/studying. The vents on integrated headrest and backrest allow air circulation during long hours of sitting. 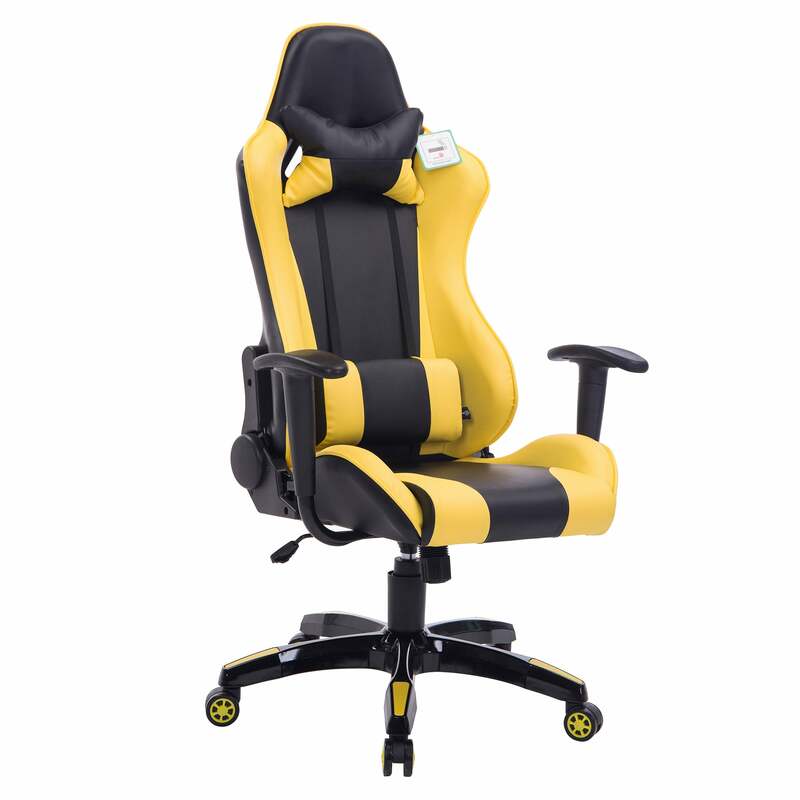 The high backrest and bucket seat are ergonomically designed to support your posture. 2 levers for height adjustment and tilt adjustment. 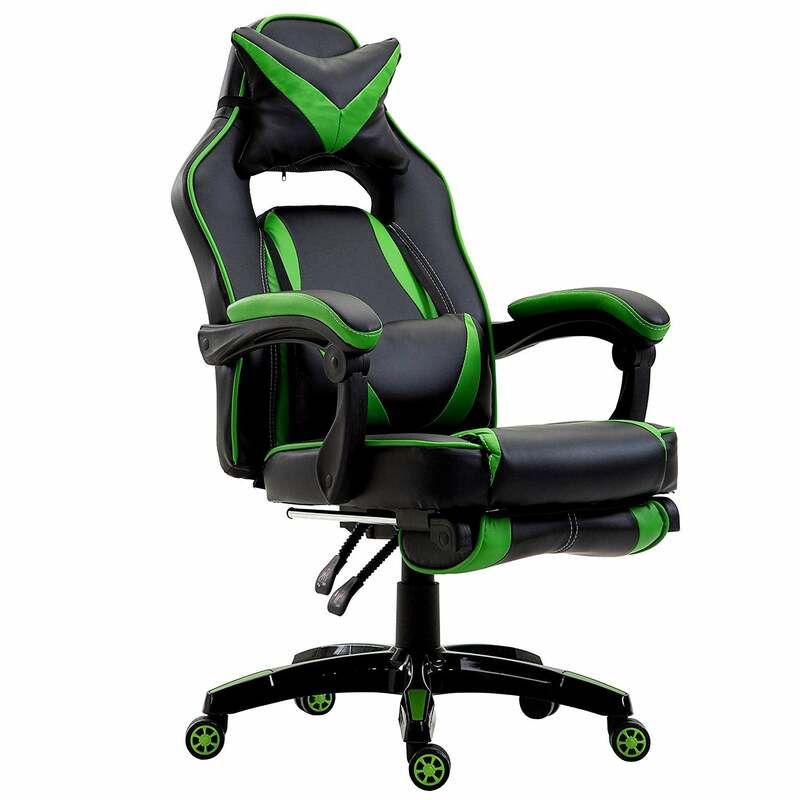 The chair can be tilted (seat and back tilt together) up to approx. 135 degree. It can also be locked at reclined or upright position. Gas lift mechanism passed SGS and BIFMA tests to ensure safety and durability. Chair size: (W x D x H) 70 x 70 x 126 cm / 27.6 x 27.6 x 49.6 in. Backrest: (W x H) 54 x 78 cm / 21.3 x 30.7 in. Seat pad: (W x D) 55 x 48 cm / 21.7 x 18.9 in. 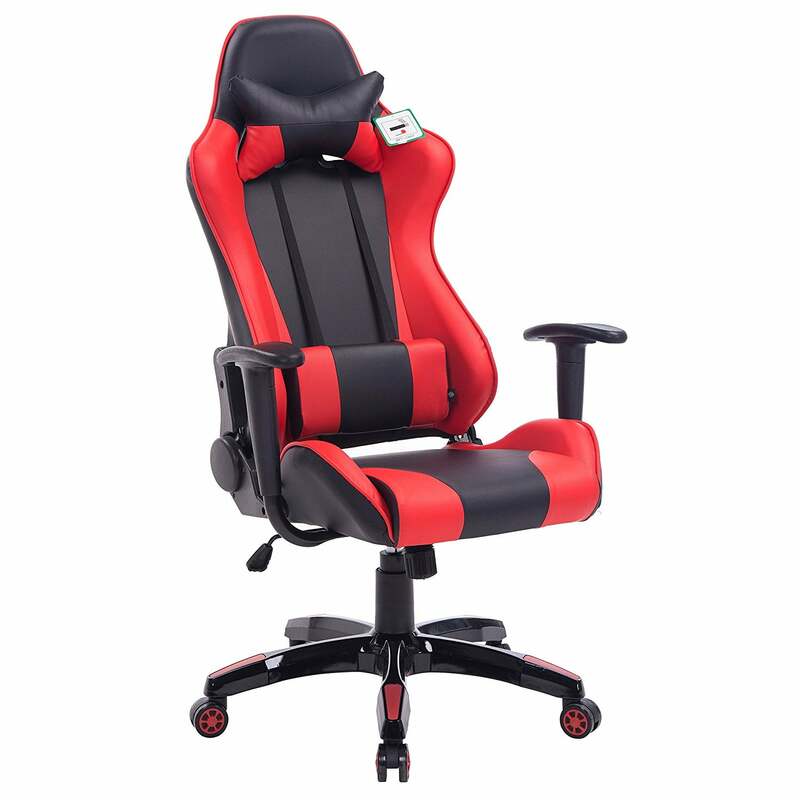 Seat height: 42 - 49 cm / 16.5 - 19.3 in. 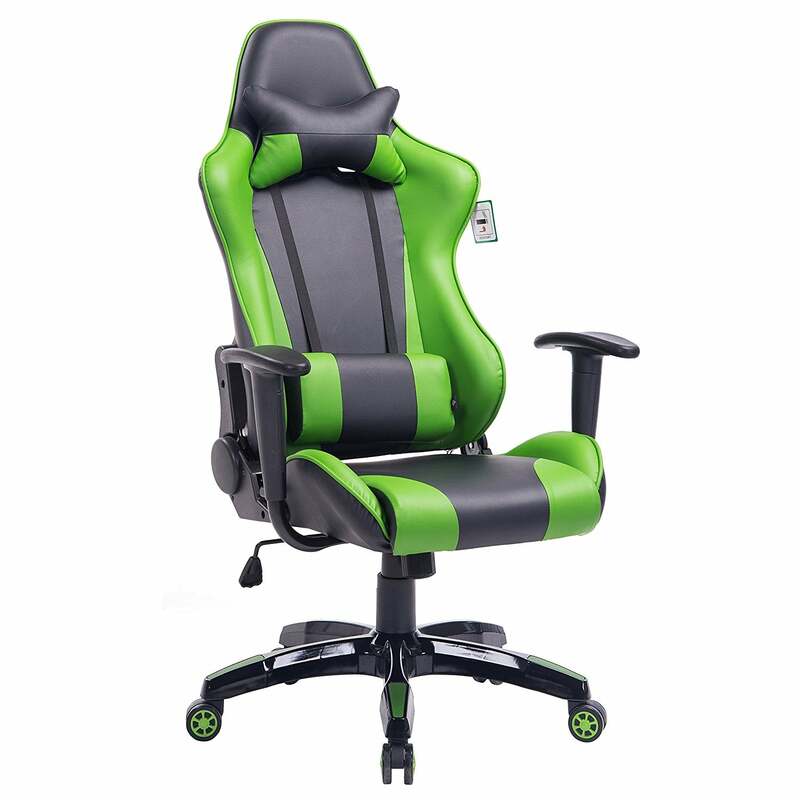 Armrest height: 60 - 74 cm / 23.6 - 29.1 in. Base diameter: 70 cm / 27.6 in. Caster diameter: 6 cm / 2.4 in. ﻿The chair is flat packed in 1 cartoon, with all fixing and allen key included. Home assembly required. Package size: 90 x 66 x 34 cm.